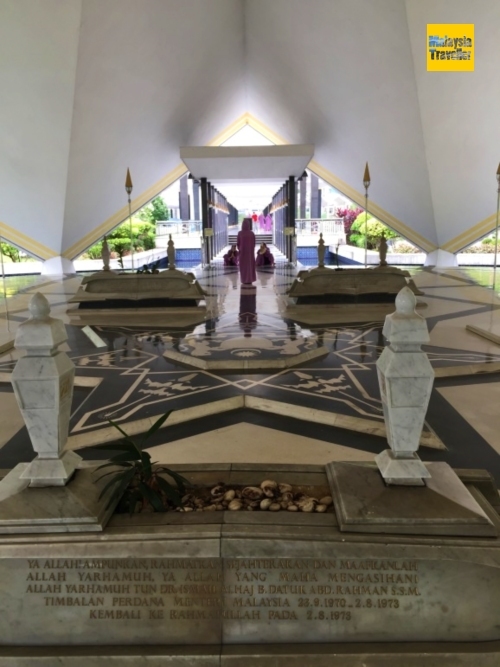 The National Heroes Mausoleum or Makam Pahlawan is the final resting place of a number of former Prime Ministers, Deputy Prime Ministers and other senior Malaysian leaders. 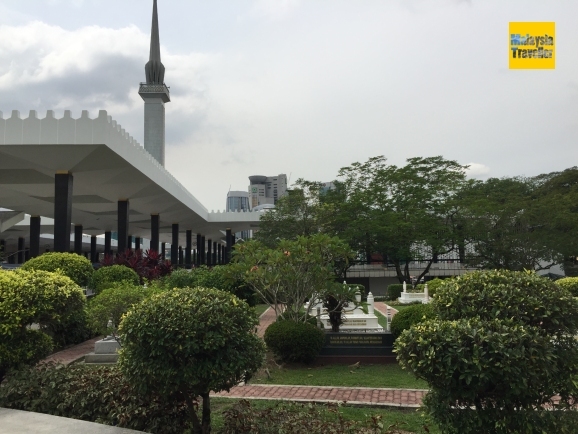 The cemetery is located within the confines of the National Mosque in Kuala Lumpur (Masjid Negara). 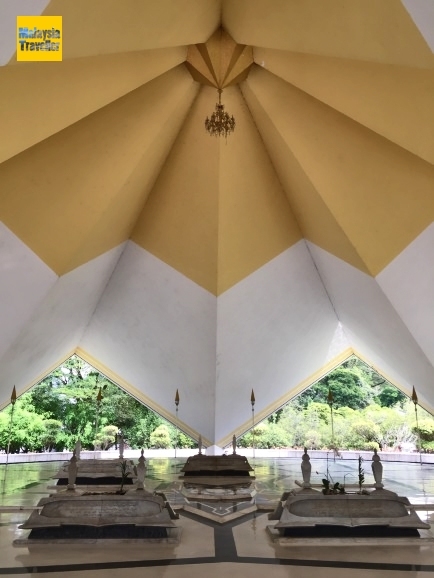 The indoor section is under the cover of an elegant seven-pointed concrete canopy in the shape of a star. It was built in 1965. 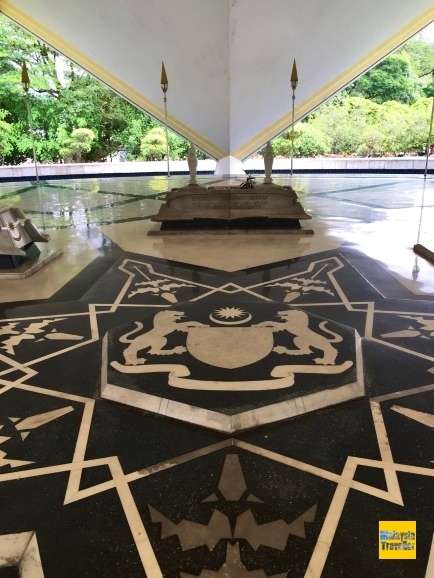 The floor is paved in marble and the centrepiece is a representation of the Malaysian national emblem inlaid in black marble. The atmosphere is calm and dignified and the open sided design of the canopy allows cooling breezes to enter. The wording of suitable prayers is displayed for visitors wishing to pay their respects. Vacant spaces have been reserved for another three dignitaries in future. There is also an outdoor section of the cemetery where a number of Ministers and other VIPs are buried. 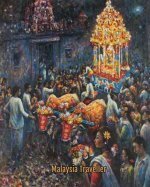 No Kings or Sultans are buried here since they have their own Royal Mausoleums in their respective states. Entry to the Mausoleum is via the main entrance of the National Mosque so the visiting hours of the mosque apply and also the dress code. On Fridays it is only open for the afternoon sessions. Visitors should proceed to the mosque’s visitor information desk. Non-Muslim women will be provided with a purple robe with a hood to wear during their visit to the mosque. Men should wear long trousers. Non-Muslim men in shorts will also be given a robe to wear. Shoes may not be worn and have to be left in the racks provided or on the floor outside the entrance. 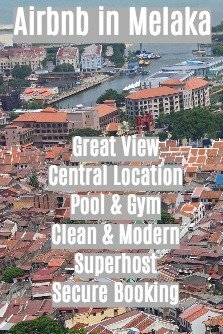 The smartest place to stay in this part of town is definitely the Majestic Hotel Kuala Lumpur.